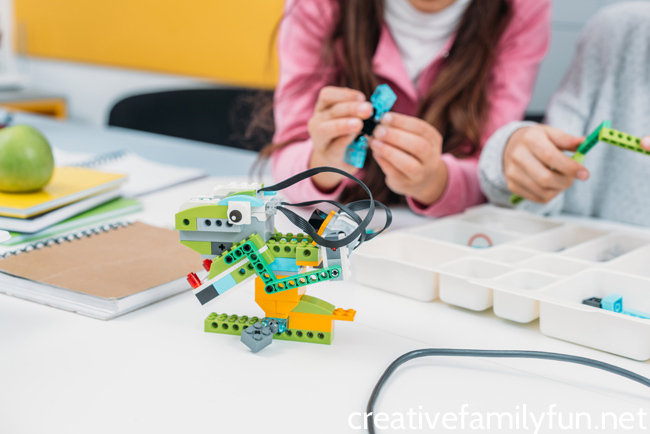 You are here: Home / Learning Activities / Science / How Do I Choose a Science Fair Project? 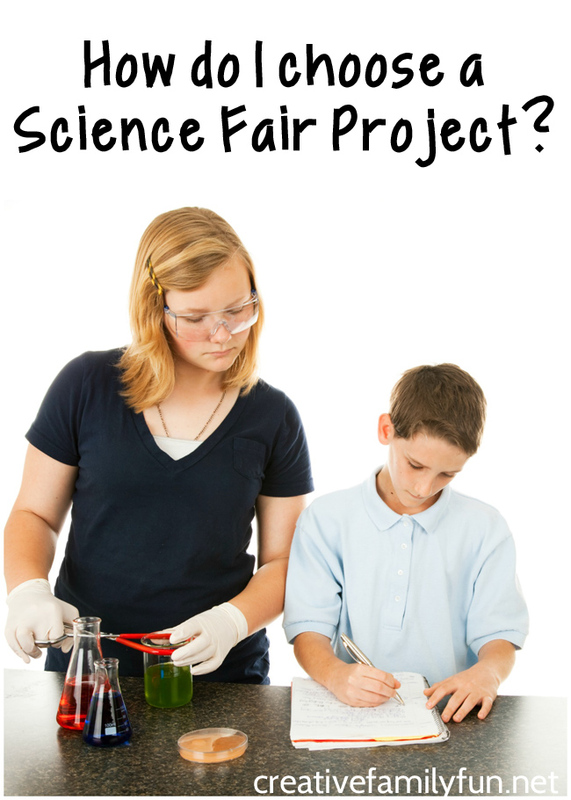 How Do I Choose a Science Fair Project? What is your first thought when you get that science fair notice? Does your heart stop and your stomach sink? Or, do you get a burst of excitement? I’ll admit, many times I get that stomach sinking feeling. But, not matter if your dreading it or are excited, you’ve got to get started. And that first step is to make a decision. How do I choose a science fair project? It’s easy to get overwhelmed. There are so many ideas from books full of science experiments to thousands of ideas on Pinterest. To help you choose the perfect science fair project, ask yourself these questions. The first thing you need to consider is the age of your child. There’s nothing worse than picking out a project that is too hard and complicated. You don’t need a complicated project. You’re most likely not going to make a new discovery, invent something, or solve a previously unsolved scientific question in elementary school. That’s not the point. The point is for your child to ask a question, do an experiment, and make a conclusion. They’re going to learn a lot if you keep it simple. Look at age recommendations in books and on blog posts to find out if this is a good fit for your child’s age. You also want to make sure the project is do-able. Do you have the space, time, and money to do your project? Find something that works for your family and your resources. You don’t want to choose a project that takes weeks if you have little free time. There are plenty of great science fair projects that can be done in a short amount of time. If you only have a small space, make sure the project is something that you can do in the space you have. Don’t set yourself up for failure. Evaluate your project to make sure it’s do-able. Is it easy to illustrate? Remember, when you do a science fair project, you will need to create a display. Make sure your project is easy to illustrate with photos and illustrations. You’ll also need to display your question, your steps, and your conclusion. Will you have enough illustrations to make an awesome display? Does this science fair project fit your child’s interests? You want your child to be excited about this project, right? So, follow your child’s interests when you choose. You want something that they’re curious about or something related to one of their passions. You can choose a music project if your child loves music. Or try a sports project if they are passionate about sports. For example your hockey fan would love this Hockey Science experiment. One year, my daughter did a project all about ice cream! Follow any interest, big or small, that your child is excited about. If your child is unsure about what they want to do, have them fill in the blanks with these questions. Their answer will most likely make a wonderful project. Does it fit the guidelines? Before you completely nail down your idea, read through the science fair guidelines that were sent home. Does your project fit in the guidelines? Can you follow all the rules with your idea? Each science fair will have different guidelines. It’s very important to make sure your idea will work. 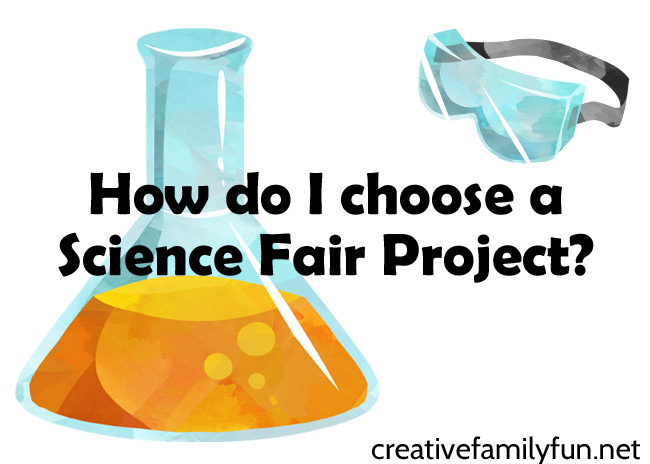 I hope I’ve answered the question, “how do I choose a science fair project”. Can you easily illustrate it? Does it fit your child’s interests? If you answered yes to all these questions, it’s time to fill out that form and get started with your science fair experiment!